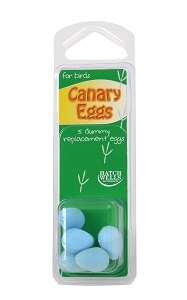 Hatchwells Canary Eggs are designed to replace newly laid canary eggs. They allow you to remove the real eggs to the incubator whilst leaving the hen to nurse the dummy eggs and not become stressed. An essential tool for the successful breeding of canaries. Hatchwells Canary Nesting Pan is a durable plastic nesting pan, great to use in conjunction with Hatchwells Nesting Material. Cleaning Disinfectant that kills bacteria and viruses suitable for bird’s cages, aviaries, drinkers, toys and carpets. Does not contain any harmful phenols. 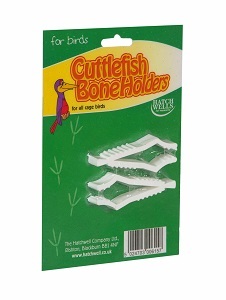 Hatchwells Cuttlefish Holders are made from tough high-impact plastic, suitable for all cage birds. 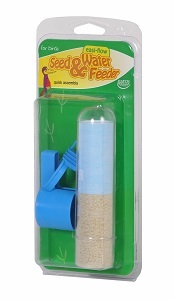 A plastic feeder that is easy to clean, fits most cage sizes, and is available in white, red or blue. It can also be used for water. 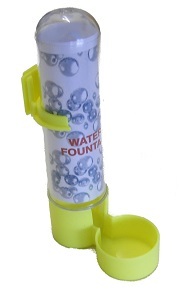 Suitable as a water fountain for small animals and birds, and also for bird seed. Suitable for most cage sizes. 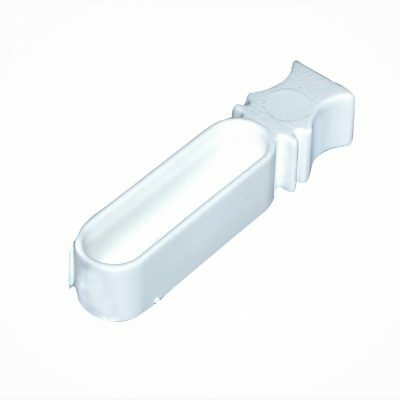 Special adaptors allow for use in glass tanks, vivariums and aquariums. 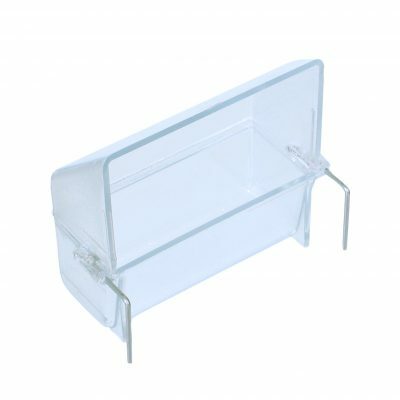 A high impact polystyrene finger drawer, suitable for attaching to most standard wire bird cages. Ideal for filling with food supplements or doubling up as a bird drinker. Easy clean plastic for complete hygiene. 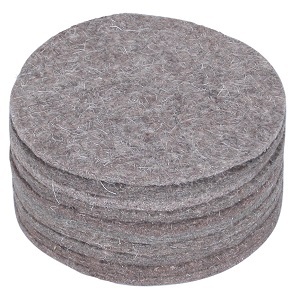 Flat nesting material 13cm diameter, can be used in conjunction with Canary Nest Pans. Hatchwells Jam Jar Feeder fits a standard size jam jar (8cmx15cm) for easy feeding. 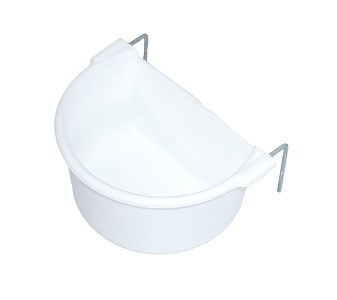 Suitable for most cages and aviary birds, made from white durable plastic and easy to clean. 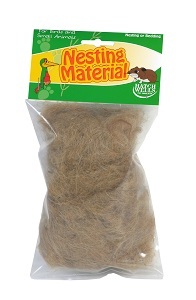 A safe and cosy nesting material, made from natural sources, for birds to use as nesting materials. Also suitable for small animals to bed down in. Hatchwells Perches are a great option to help you customise your bird cage. Made from durable high impact polystyrene, these quality perches can be cut to fit your cage. A rounded, high impact polystyrene egg drawer with a practical thumb grip for easy transportation. 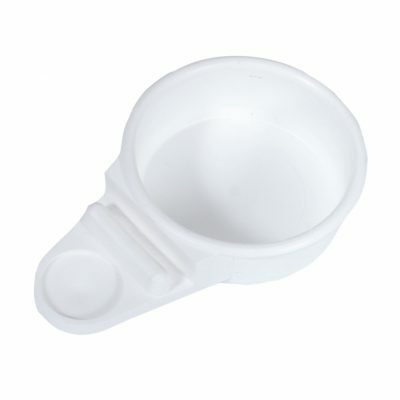 Easy clean plastic for complete hygiene. Size 7cm x 10cm. 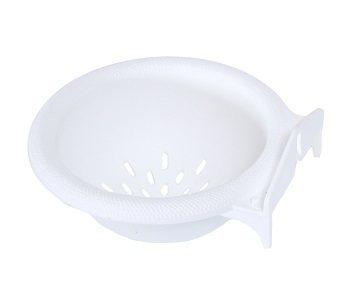 A durable, clear plastic Seed Hopper, 7.6cm that is easy to clean. Strong metal hooks attach to the cage to prevent it being dislodged. 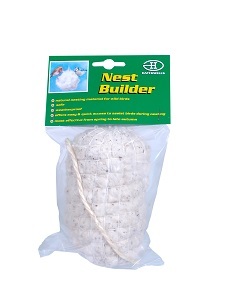 Suitable for most cage sizes and birds such as Canaries and Budgies etc. 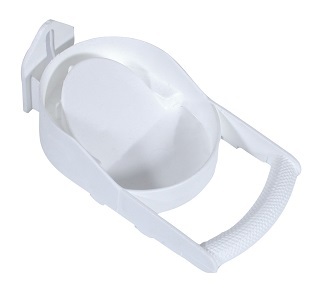 White tough plastic drinkers with wire hooks that can be easily attached to most sized cages. Available in small, medium and large sizes. Give wild birds a helping hand by offering quick access to this natural nesting material. It is safe and weatherproof and most effective from spring to late autumn.